The best way to secure your information is to block the leakage of the folders and the files by encrypting them. 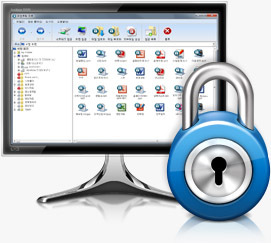 PointLock PRO is one-click security program that can block the information leakage by using Network Lock and Screen Lock. It also has File Encryption and Folder Lock functions that protect the confidential documents and the important data from leaking and alteration. These video clips will show some major features of PointLock PRO. Click the pictures below to play video clips. and confidential file has to be sent outside. • The administrator manages PointLock User information (ID, PW) and logs.